We’ve just finished focusing on Jesus’ humble birth with the celebration of Christmas. Born in Bethlehem, God came into this world in like all of us. This morning, let’s for a moment contrast the humility of Jesus’ birth with a vision of God from the 29th Psalm. This Psalm, which lifts up God’s glory, orients us to the proper way to approach God. In God’s presence, like the wise men and shepherds, we can only stand in awe. The Reformed Tradition, in which the Presbyterian Church stands, has always maintained a high view of God. 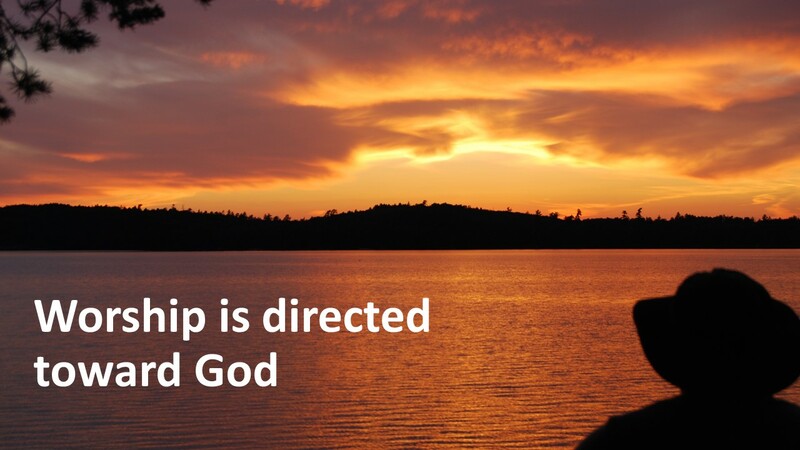 Worship is based upon scripture and directed toward the Almighty. We are skeptical of making too many claims about God, for we understand that God is outside of our control. God is totally other. If God was anything less, he’d not be Almighty and we’d really be in trouble for we’d be depending upon a being that doesn’t have the power to do what we need. In scripture, we learn that God comes to us, drawing us into a relationship with him. God’s grace always precedes any action on our part. When we are truly in God’s presence, we’re speechless. We stand in awe. We’re like those in the Psalm, who can only mumble in amazement, “Glory!” Read Psalm 29. 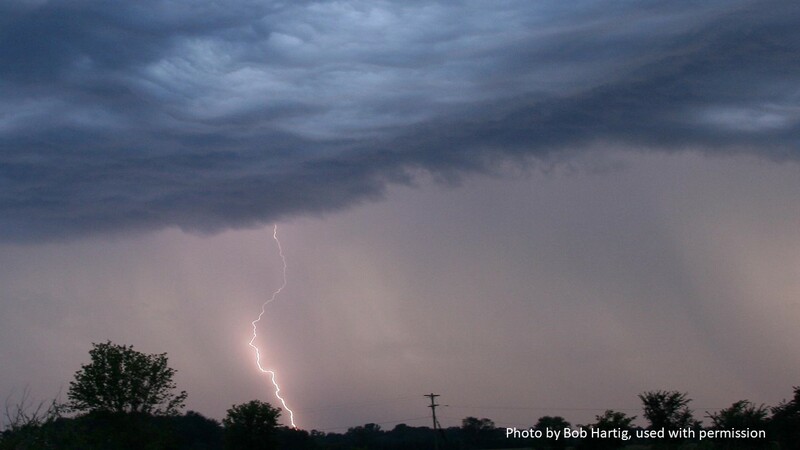 There is nothing like an electrical storm to remind us just how our lives are fragile. 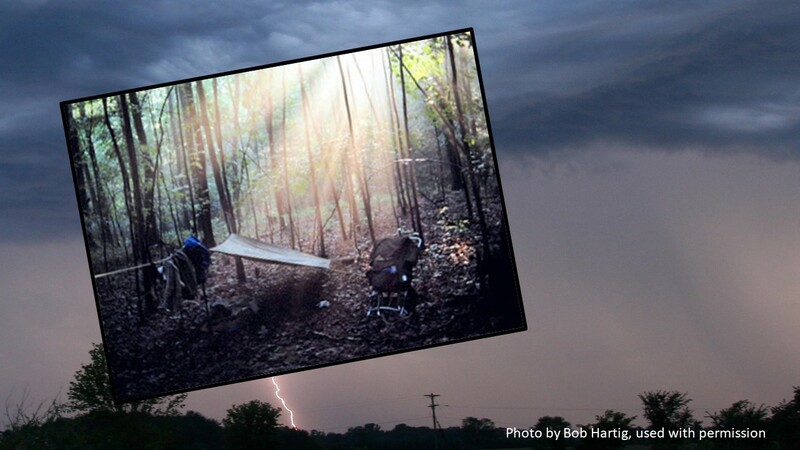 I’ve been caught in many such storms: hiking in the forested woods of the Appalachians, backpacking above tree-line in western mountains, in a boat offshore of North Carolina, paddling a kayak in our sounds, and even once—as a kid—playing golf with my grandfather on Pinehurst #2. I can assure you, there were plenty of thunderstorms the summer I hiked the Appalachian Trail. With the exception of when above tree line in New Hampshire or Maine, the best thing to do when no shelter was around was to keep on trucking. If it was cold, I would pull on a rain suit, but most often when summer hiking in the heavily forested eastern mountains, it’s was warm enough that you can just get wet. After all, I was probably in need of a shower. Of course, before the storm got too close, I’d stop and put on a pack cover to keep everything inside dry. I lived through many such storms. The wind picks up. I’d begin to feel vulnerable. The trees start to bend and sway. Occasionally a branch breaks. But the wind is just a warning. Sound of the thunder increases. Soon the lightning is no longer just a flash in the distance, but well-defined streaks. It’s getting closer. Bolts begin popping trees nearby and the smell of burning ozone fills the air. If hiking with others, you spread out. That way, if one is struck, someone else could try CPR, or at least not everyone would be fried and would live to tell the story. After a brief intense period of lightning and deafening thunder, the rain comes. Like the electrical display, it’s short and intense, but quickly passes. Then it’s over. As the storm moves off eastward, each boom of thunder is a little less intense. It’s hard to tell when the rain stops as the leaves keep shedding their water a good thirty minutes after the storm has past, even after rays of sun break through the canopy, which provides another glimpse of awe. In a few minutes, the storm seems to be a distant dream. 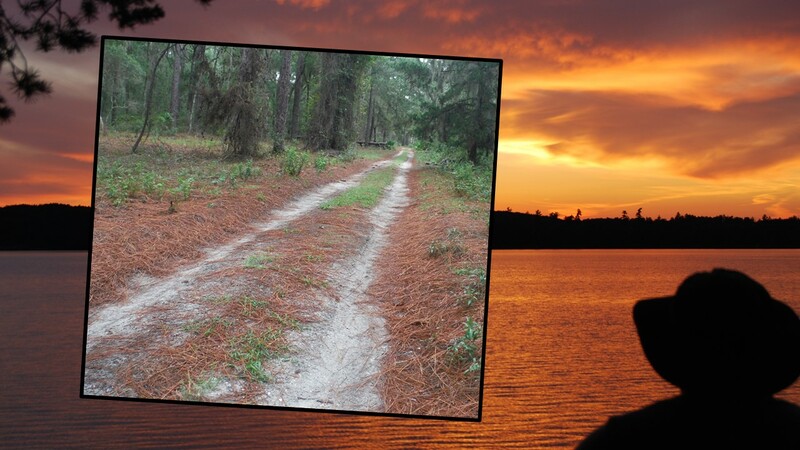 In camp that evening, you build a fire and attempt to dry out socks and boots as you discuss shared experiences. Everyone was scared, but are glad to have gone through it. 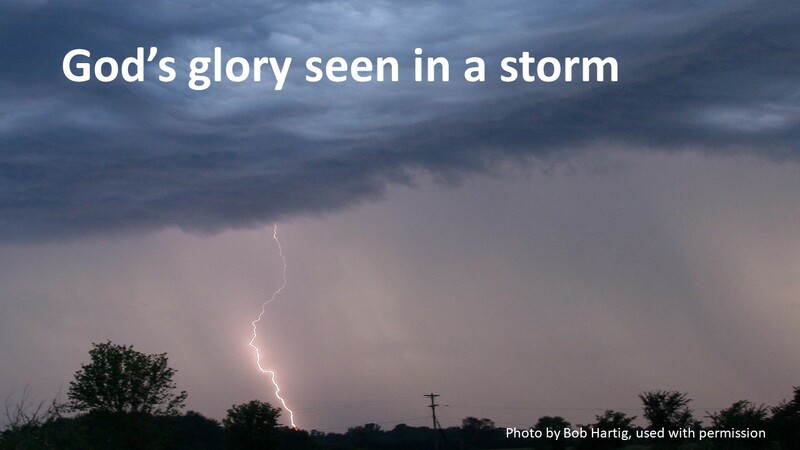 Storms are awe-inspiring. I love this Psalm! We live in a narcissistic world, yet the Psalm reminds us of our limited abilities. In the face of such a storm, in the presence of our God, all stand in awe. The power of this Psalm drowns the choruses of “me, me, me” and “I, I, I” that dominate the sound waves of our lives. 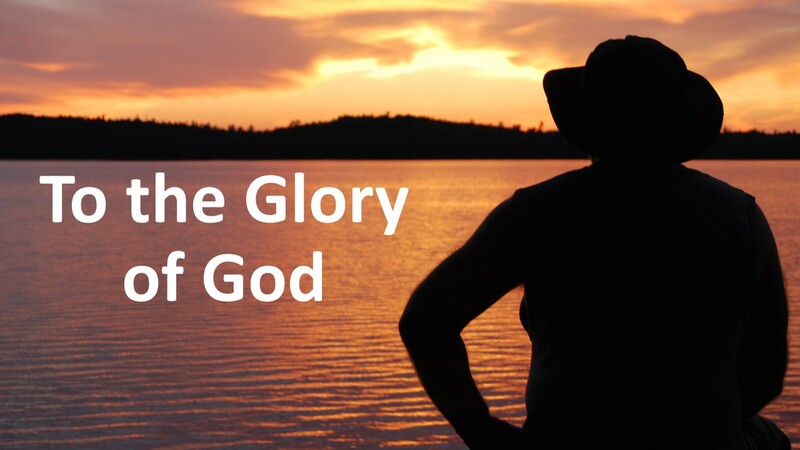 We can’t think too much of ourselves when we truly contemplate the power and the glory of our God. When we truly consider the omnipotence of God, a God shown in the 29th Psalm to have power over creation, we are left nearly speechless. The majesty of God drives us to our knees. 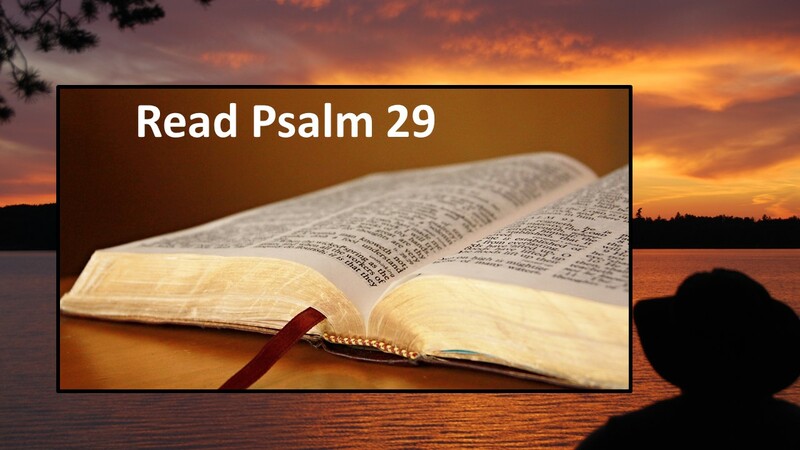 In a profound way, the 29th Psalm humbles us before our Creator. Notice that in these 11 verses, humanity remains inactive. The Psalmist remains a passive observer. The Psalm is attributed to David and we can image him as a young man, out herding sheep, having such an adventure. While we are inactive, the Psalm opens with a call for us to worship God, but when we get into the meat of the Psalm, God provides the movement, not us. We just watch as God’s glory is revealed in a violent storm that breaks the strongest trees known in that part of the world, a God over fire and earthquakes, tornadoes and floods. At the end, after tiring himself by proclaiming the wonder of God, the Psalmist expresses hope that God will give us strength and peace. You know, we are all on a journey in this world. We are here for only a short time. And while we are here, God has something for us to do. We refer to this as our calling and those of us in the Reformed Tradition understand this calling to be more than just what we do within the church. In fact, worship is more than just what we do here on Sunday morning. Our whole lives are to glorify God, so our vocation—whether in the church or in the secular world—is important to God and the furthering of his kingdom. On Monday, in our Calvin January Series lecture, some of us were blessed to hear Dr. Jimmy Lin talk about the “good news” in the battle against cancer. 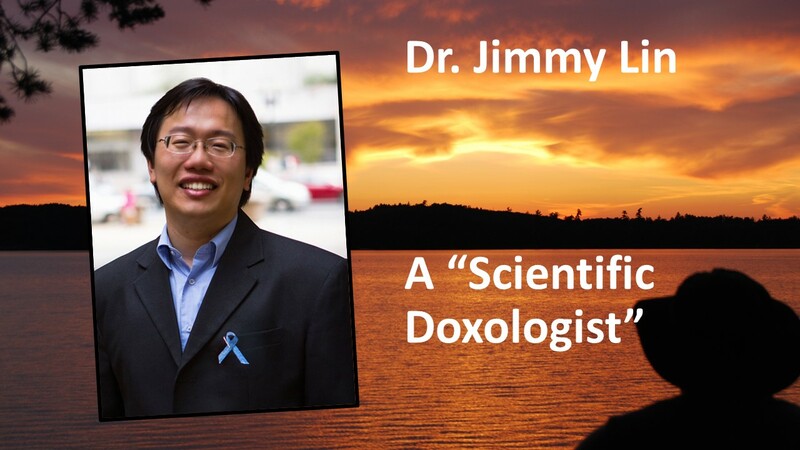 Those who heard the lecture may have been shocked that before Lin talked about cancer, he discussed his relationship to God, referring to himself as a “scientific doxologist.” As you know, the doxology is a praise of God. Dr. Lin suggested that the most important thing for all of us to do is to praise God. In other words, we are all called to be a doxologists. Yet, we live out our lives in different ways. He is a scientist, so he calls himself a scientific doxologist. When we all think of the labels we place on ourselves for our journey through life, all of us should strive to include the title “doxologists” with our description. “I’m a business doxologist, an engineering doxologist, a banking doxologist, a lawyer doxologist, a retired doxologist, a preaching doxologist…” You get the idea, don’t you? 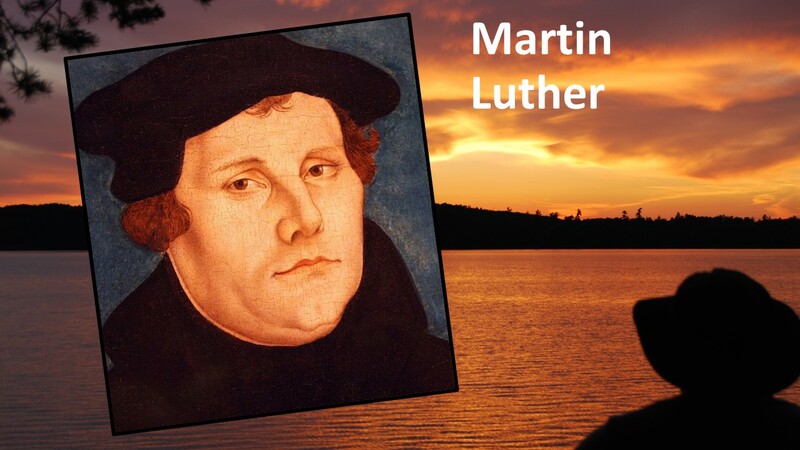 Interestingly, with all this discussion this morning about storms, Martin Luther, the great Reformer, religious vocation began with a thunderstorm. A nearby lightning strike threw him from his horse. Scared, he prayed and vowed that if saved, he would become a monk. In his Small Catechism, Luther began his explanation of the Ten Commandments with the phrase, “We should fear and love God.” Most of us probably don’t think of these two terms, fear and love, together. They seem paradoxical, especially to our modern or postmodern minds. We have an idea that for true love to exist we have to be on an equal footing, otherwise one party will dominate the other. This may be partly true in the love between individuals—even though it is not always so. Certainly the foundation of love between a parent and an infant is not built on equality. The child is totally dependent on the parent. The same goes for our relationship to our Heavenly Father. We’re totally dependent on God. 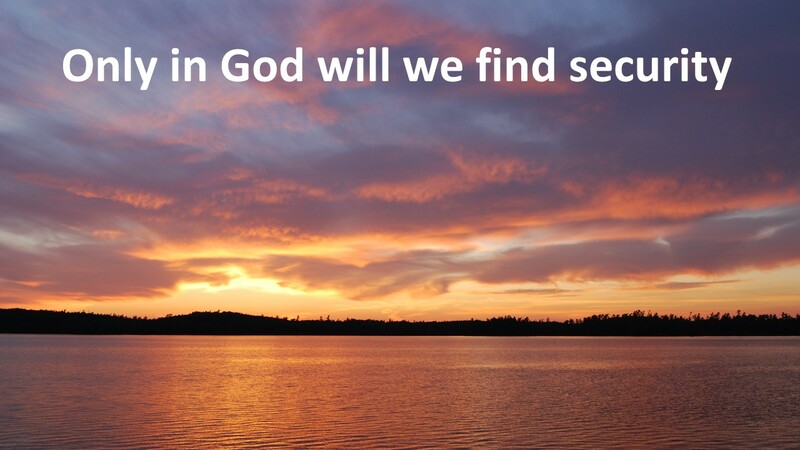 In our relationship with God, there is a dialectical tension between fear and love. We fear God because of our alienation due to sin. And yet, God draws us back to himself, through Jesus Christ, showing us love. Therefore should praise God always. It’s with fear and love that we approach God and we can see both emotions in the 29th Psalm. Certainly the experiences of storms and natural disasters described in verses 3 through 10 are fearful. 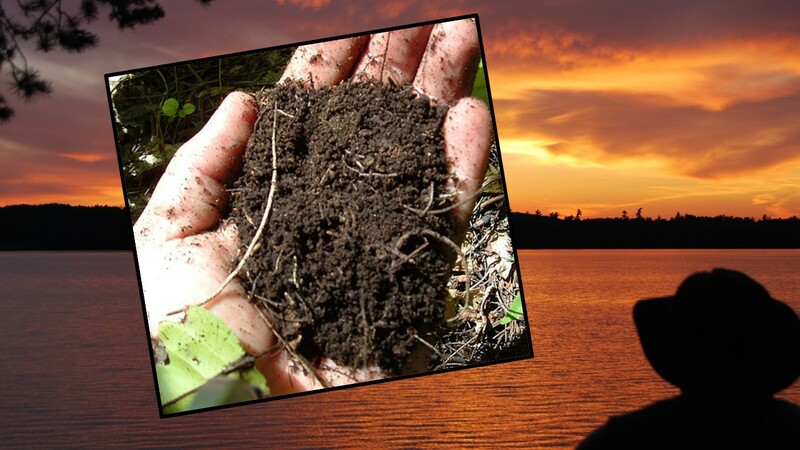 But isn’t it reassuring that God’s power extends even over these calamities, and that the God whose power extends over nature is the same God who gives us strength. Such a God is to be the focus of our worship; such a God is to be the focus of our lives. We’re called to join in with the heavenly host and praise him. When we encounter storms on our journeys, and sooner or later we all will, we should remember that it’s only in God Almighty that we find security. When it comes to the bottom line, there is nothing you and I can do unless God either wills it or allows us the freedom for it to happen. This may seem as a restriction on our sovereignty, but true freedom can only be found by humbling ourselves and by placing our faith in God as revealed in Jesus Christ. Friends, as you leave this morning, go out into God’s world living up to your calling. 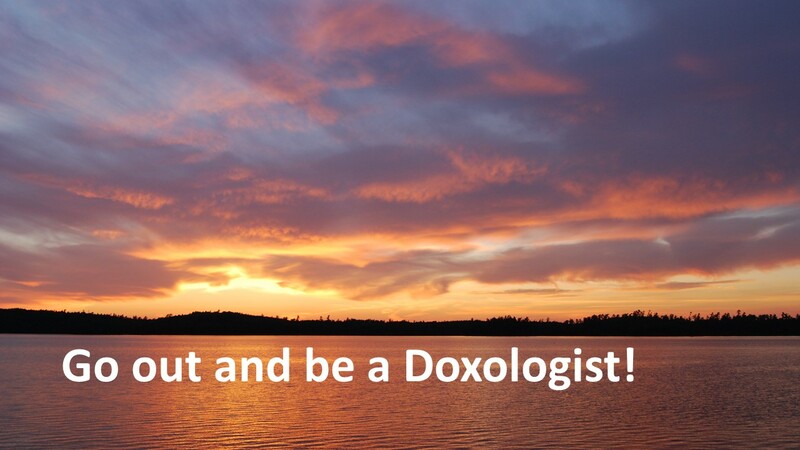 Go out into the world and be a doxologist! Amen. Roland H. Bainton, Here I Stand: A Life of Martin Luther (1950: Mentor Books, 1961), 15. Marva J. Dawn, Reaching Out without Dumbing Down: A Theology of Worship for this Urgent Time. 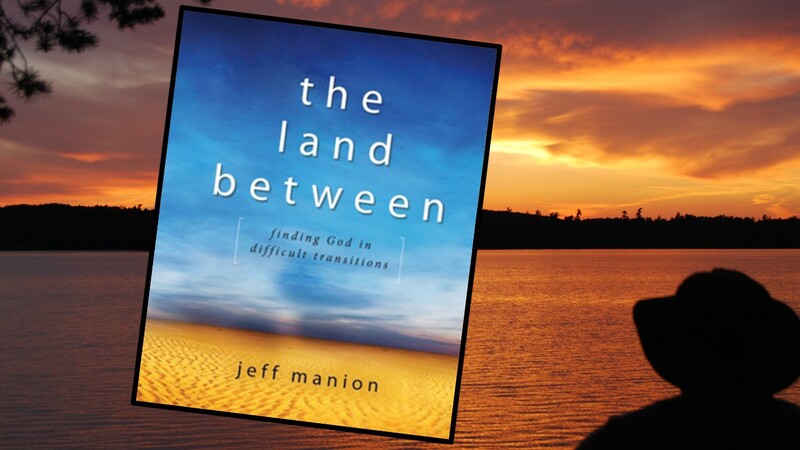 (Grand Rapids, MI: Eerdmans, 1995), 97. See all the Lutheran Book of Concord, pages 343ff. For a discussion on how love changes as we mature, see Erich Fromm, The Art of Loving (1956: Harper & Row, 1974), 41ff. Matthew 6:10. See also Luke 11:10. Doxologist is a “new to me” word and I like it!! I’m a firm believer that science and faith can not only co-exist, but can enhance each other. 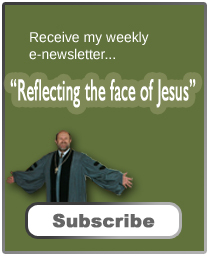 If you’re not familiar with BioLogos.org, you should check it out. I love storms and winds ! I came from a site in the South where we always had storms and a lot of rain ! Here is different . We are in our little boats in the sea.